Although it had dissolved by 2006, a nucleus of Wannops existed in York in the 16th. Century. Following Robert Wanhope’s abbotship at St. Mary’s between 1502 and 1507, there is no evidence of his direct connection to several namesakes noted in York records in the mid 16th. Century. However, despite no positive evidence of a direct connection, it might have existed in one or both of two ways. There could have been a direct family link, even including a connection of parentage. 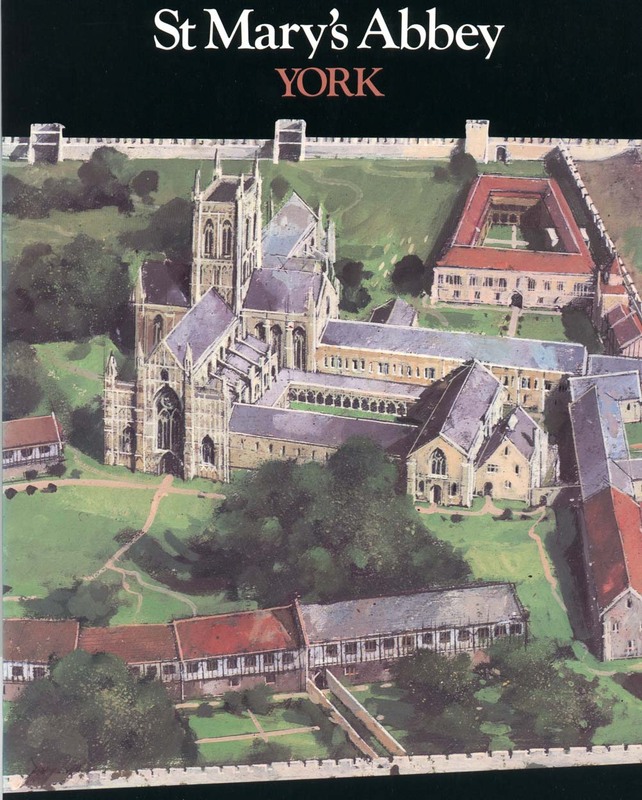 And if Robert Wanhope moved to St. Mary’s at York from a Benedictine dependency in Northumberland or Wetheral Priory, it could be that the Abbot’s patronage drew others of the family to York. Although a slight possibility only, it has to be considered that York could have been at least a staging post on the Wannop’s way north, on migration from an even older heartland in mainland Europe. We have to look at the history of settlement and tides of migration in the North of England. In the 12th. century the native Anglo-Saxons struggled with the incomers as the Normans encroached into Northern England. The creation of a Norman landholding class was primarily the work of Henry I after 1106. The native lord Gile who held Gilsland resisted the Norman incursion, and In the period 1110-1135 there was a resurgence of the natives when the king showed favour for the northern Anglo-Saxons. Yorkshire took influence in Cumberland. The first Bishop of Carlisle – Prior Athelwold – came from the East Riding. Others from Yorkshire were given lands in Cumberland. Before 1120, the first Norman lord of Cumberland granted tithes from some of his demesnes to St Mary’s Abbey, York. The monasteries at Wetheral and St Bees were cells of St. Mary’s, and between 1239 and 1530 at least six priors from Wetheral advanced to the abbottship of St. Mary’s. In the 13th. Century, the Abbot of St. Mary’s owned a ship at Whitehaven, and in 1318 he was asked to sell to the keeper of the king’s victuals at Carlisle any surpluses from his tithes of grain in Westmoreland. This was reflected economic as well as deep ecclesiastical ties between York and Cumberland. Men from Carlisle contributed to the immigrant population of York, and its merchants traded there. Carlisle men were among freemen of late 14th. Century York, when wool was brought from Cumberland. The connection was not always friendly. Around 1400, William de Aglionby, Lord of the manor of Tarraby, north of Carlisle, fell out with the Abbot of St. Mary’s, York. However, the reign of Henry VII (1457-1509) was one of comparative peace and fair prosperity, encouraging men from Kendal, Cockermouth, Penrith, York and elsewhere in the North to go to Carlisle. In the second half of the 15th. and first half of the 16th. centuries, York continued to play an important part in the economic life of Carlisle. By the mid-1480’s Cumbrian cloth was being found in increasing quantities in York tailors’ shops, and notable migration to York is recorded from the poorer lands of the north-west in the mid 1500’s. Wetheral Priory has also to be considered as a possible element in the Wannops’ connection with York. The Priory was on the edge of what was the Wannop heartland in Cumberland from at least the mid 16th. Century onwards. 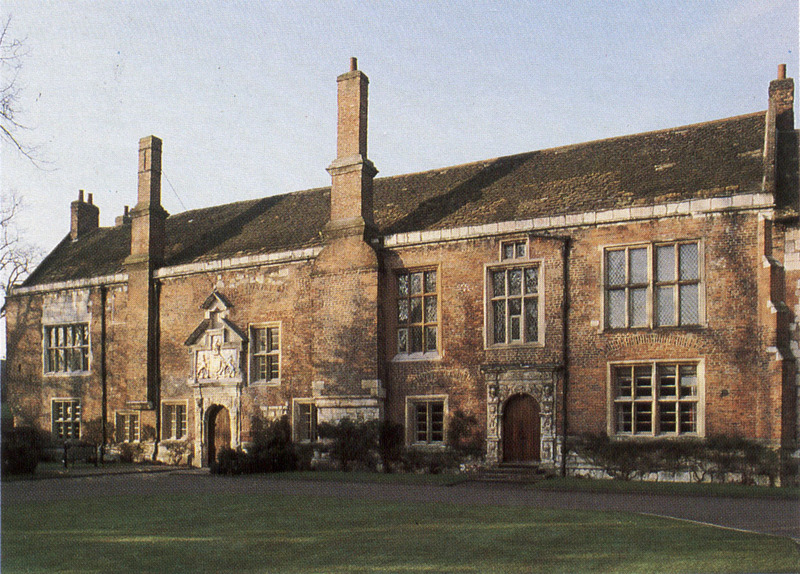 The strength of the connection between the Priory and St. Mary’s at York is measured by the six Wetheral priors who advanced to abbotships of St Mary’s between 1239 and 1530. They included John de Gilling in 1303, Thomas Pigott admitted as Prior in 1386 and becoming Abbot of York in 1399, Thomas Bothe admitted as Prior in 1456 and moving to York as Abbot in 1464, Robert Alanby becoming Prior in 1497 and afterwards Prior of St. Mary’s, and William Thornton who became Abbot at York in 1530. William Senhouse from the Cumbrian gentry who became Bishop of Carlisle from 1496 to 1502 retained his previous appointment as Abbot of St. Mary’s, York. He was succeeded as Abbot of St. Mary’s in 1502 by Robert Wanhope, who had been elected to York’s Corpus Christi Guild in 1486. In 1507, the year of Robert Wanhope’s death, the Prior of Carlisle also became a member of the Corpus Christi Guild. Although there is no evidence of Robert Wanhope being previously a prior at Wetheral, that could be either because no record of his advancement remains or because he became Abbott when already a prior at St. Marys, York. The abbots of St. Mary’s had a seat in Parliament; had jurisdiction over many towns, villages, churches and dependent houses; frequently made loans to the sovereign; supplied necessaries at time of war; were collectors of tithes; had a London and other residences; and had numerous posessions in several counties. Of course, Robert Wanhope’s origins may have been in neither Wetheral nor Cumberland but in Northumberland. where there was the Benedictine abbey at Lindisfarne and a priory at Tynemouth. Until 1541 the diocese of York comprised all Yorkshire and Nottinghamshire together with much of Cumbria and North Lancashire. The Bishops of Durham and Carlisle were subject to the Archbishop of York as metropolitan. The links were sustained by the considerable numbers of Cumbrians said to have migrated to York in the 16th. Century, when in its later years people went to York for the proceedings of the Kings Council in the Northern Parts. The Council was a powerful administrative and judicial agency controlling the North on behalf of the Privy Council, acting as a regional equivalent of the Star Chamber and hearing up to two thousand cases a year by the end of the 16th. Century. 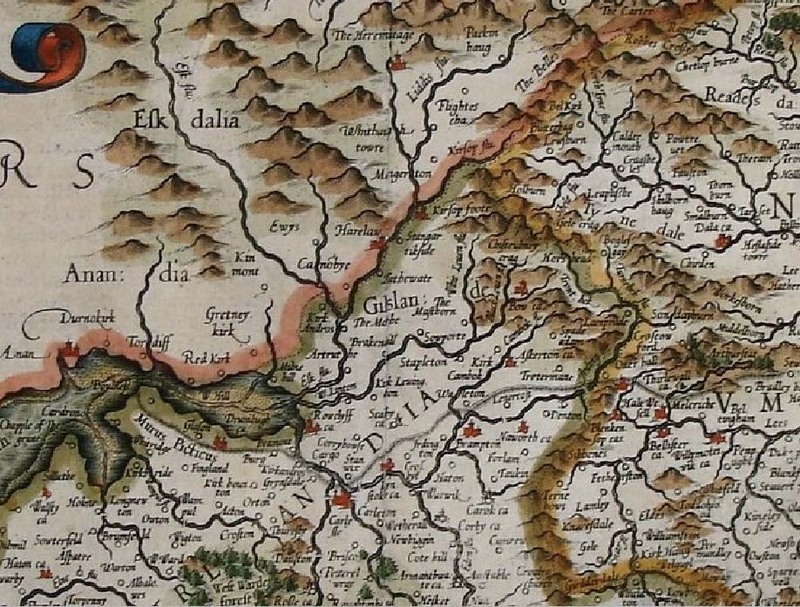 Goods were sent from York even to Penrith and Cockermouth In the early 16th. Century. Kendal cloth found its way down to York. Trade in Kendal cloth was no short-term phenomenon of the 16th. Century. In the late Middle Ages, one in seven of all immigrants to York and one in ten of its freemen came from Cumbria; many came from remote villages, but a few from Carlisle. Three Wannops are recorded as becoming freemen of York between 1568 and 1604; Robartus a baker and his two sons – a glover and a milliner. It seems that Robartus came from outside the city, his sons being admitted as freeman on the strength of their father’s freedom. The title of freeman was reserved almost entirely for freemens’ sons and for men from outside York, and was restricted to those born legitimately. In the period 1535-1566, 95.5% of freemen admitted by other than inheritance were born outside York. Chamberlains’ account books show only 102 of a sample (20%) of 358 freemen in this period to have been born in York; 73 came from over 50 miles away. Freemen or citizens were the dominant class in York, being those who ran businesses or were self-employed. Freemen entered by apprenticeships, by patrimony or by purchase. Only freemen were eligible to vote and hold office. Non-freemen had to buy or sell only with freemen. In the 1530’s and 1540’s freemen comprised some 1,250 or at least half of all adult males in the city. Freeman immigrants massively increased after the epidemic periods of 1550-52 and 1558-59. Carlisle city court books suggest that men from Kendal, York, Cockermouth, Penrith and elsewhere in the north were encouraged to travel to Carlisle during the comparatively peaceful conditions of the time of Henry VII. The clothing, food and drink trades were the largest groups of freemen admissions in the 16th. Century. Glovers became the twelth largest craft in Elizabethan times. Butchers had their own guildhall and constantly battled with the city council for grazing near York, where the council wished to maintain in cropping for corn. The number of bakers, butchers, tailors, drapers and glovers in York rose considerably after the mid 1500’s, probably connected with a rising demand from the gentry and other visitors. Many more immigrants in the period 1535-66 came from the poorer lands to the north-west than from other directions, including 33 from Cumbria where the soil was poor and the population large. The will of Humphrey Wannop of Newby (1727) refers to his son John being “now in Yorkshire”. John Wannop’s refusal in 1664 to take the oath as a churchwarden because he was a Quaker suggests a possibly indirect connection with York, although the first Friend’s Meeting House in York was not established until 1673.